Are your costs spiralling ever upward? Are you being run ragged by ever increasing complexity? Do you know if you are spending too much? Do you know if you're spending on the wrong things? Not sure if there are hidden gaps in your risk and insurance strategies? Are you tired of being over promised and under served? Did you miss an Essential Webinar? Not to worry, visit the webinar archive. RHIA is available to rural and critical access hospitals across the country. 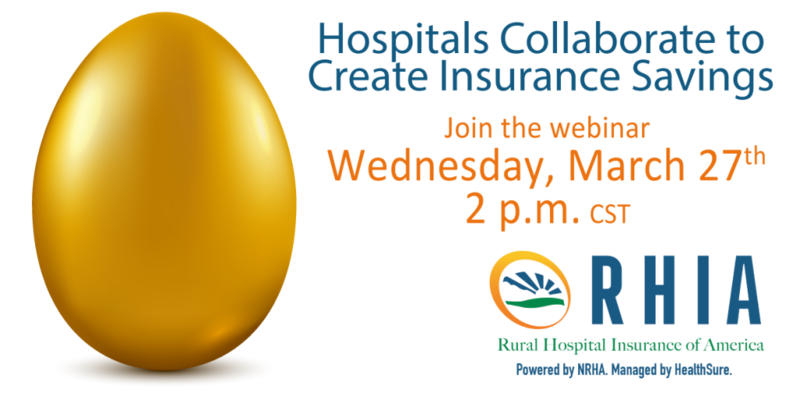 All are welcome – you do not need to be an NRHA member to participate. Contact the RHIA program managers today for a simple, valuable and no-obligation Cost Control Analysis of your current risk and insurance program. Contact us today to learn how RHIA can help you stay safely ahead of the game. Call (888) 665-1539 or use the handy contact form to send us an email.